Legislation and Practice Regulations set out the standards which solicitors in Northern Ireland must adhere to in relation to their practices and their duties to their clients. The Solicitors' Practice Regulations 1987 provides the standards to which solicitors must work as solicitors admitted in Northern Ireland. In 2011 the regulations were updated. 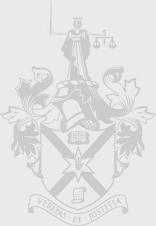 On the 20th May 2013, the Society introduced the Solicitors’ Practice (Amendment) Regulations 2013, with the approval of the Lord Chief Justice. They were introduced to address the issue of the payment of referral fees by solicitors in Northern Ireland, within the legislative and regulatory framework here. In June 2013 an updated and consolidated version of the 1987 Practice Regulations to take account of the 2011 and 2013 Practice Amendment Regulations. In January 2019 the Solicitors' Practice (Amendment) Regulations 2018 came into effect.